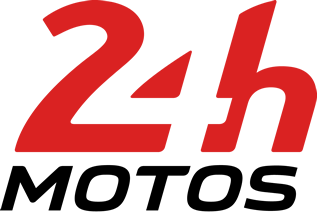 The 40th 24 Heures Motos is the second round of the FIM World Endurance Championship. The crowd can look forward to a thrilling no-holds-barred battle for victory on the Bugatti circuit between all the teams entered for the event. The 24 Heures Motos is also a marvellous motorbike festival and the ACO teams are working on the preparation of a host of activities/entertainment. Racing on the Le Mans Bugatti circuit, the 24 Hours Moto is a tough challenge for the riders and their support teams as well as the machines that will complete in excess of 800 laps. This event is the ultimate in motorcycle endurance racing at the iconic Le Mans race circuit. Since 2015 the 24 Heures Motos is back at its original date in April and kicks off the world endurance season. The major players in the motorbike industry, Suzuki, Yamaha, Kawasaki, Honda and BMW, will all be represented by either works or privately-entered bikes guaranteeing top class competition. The 2016 24 Heures Motos was dominated by Suzuki, who led from the sixth hour right through to finish to win in front of 70,000+ spectators. At the 24h Motos there three camping options available in close proximity of the Bugatti circuit . All sites are available from 14th to 17th April. The table below gives a brief description of the campsites and their locations. Maison Blanche Reserved pitch with your vehicle parked nearby on a secure campsite at Maison Blanche near the south entrance of the circuit and village. Tertre Rouge Small campsite near the Tertre Rouge corner of the 24 Hour circuit, which is solely for Motorbikes. It is within easy walking distance of the new Tram Station and short walk to the hairpin of the Bugatti Circuit. Houx Concentration A large campsite soley for Motorbikes that runs along the back of the Bugatti Circuit with a some shady spots. There is also the opportunity for electric hook-up, but not guaranteed.